Home staging checklist for a speedy winter sale- Download the handy checklist! With wintertime traditionally a slower selling season in the real estate market a lot of buyers are tempted to wait until spring rolls around to put their home on the market. The thinking behind this is that buyers go into hibernation during colder months and are not as willing to attend inspections. Not to mention homes don't look their best on cold and gloomy winter days. However, there are several advantages for sellers to take the leap in the coldest months of the year. With lower supply in housing stock, there’s less rivalry from other similar properties while competition remains high amongst motivated buyers. This often means the seller has more room to negotiate a better sale price. Some property experts even argue selling in winter can work out better for the vendor than in spring. We’ve prepared the following checklist for you to pass onto vendors to prep their home for a quick top price outcome this winter (download a copy). Ensure heating systems and fireplaces are in tip-top condition. Arrange to have gas heaters serviced, the chimney swept and ducted heating systems cleaned. Use a gap filler on windows or weather stripping on doors to prevent any chilly draughts flowing through the house. Add plush cushions, cosy throw rugs and luminous candles to indoor and patio furniture to create an inviting feel and warming glow. Add a few cheerful pops of colour (i.e. A vase of sunflowers, houseplants, books, an abstract artwork or a bowl of green apples) to your interiors to add character and bring the home to life. Add floor rugs to chilly timber, polished concrete, the patio and tiled flooring for instant warmth. Highlight cosy features at inspections and in property advertising such as patio heaters, floor heating, open fireplaces, heated towel rails and outdoor fire pits. Tip: Request that potential buyers remove their shoes for inspections so they’ll experience the luxurious underfloor heating for themselves. Clean out gutters and unblock drains. Rake up leaves and other garden debris. Replace any loose or damaged roof tiles. Prune trees, hedges and shrubs. Remove cobwebs from the home’s exterior. Paint the front door a cheery and inviting colour. We like duck egg blue, zesty lime and millennial pink. Repaint or repair the front fence and gate. Lay out a new front door mat. Plant flowering plants in garden beds and window boxes. Add pot plants beside entryways. Pressure wash the driveway, path pavers, deck and front porch. Ensure garbage bins are out of sight for inspections. Clean windows inside and out to let the light flood in. A fresh coat of white paint to walls and ceilings can work wonders to lighten and freshen up dreary interiors. Wipe clean blinds and shades. Open all curtains, shutters and blinds during inspections. Dust lampshades, pendant lighting and light fixtures. Replace light bulbs with warm and higher wattage bulbs. Add a sensor light or lamp sconces to the front porch. Turn on all lighting (lamps, overhead lights, rangehood lights and outdoor fairy lights) for inspections. Introduce large mirrors to maximise natural light in any dark rooms or corners. Vacuum and steam clean all carpets and rugs. Clean and polish stainless-steel kitchen appliances. Don’t forget the top of the fridge and canopy rangehood! Refinish timber floors or replace carpeting (if necessary). Regrout tiled flooring and surfaces. Scrub showers, sinks, bathtubs, loos and laundry troughs. 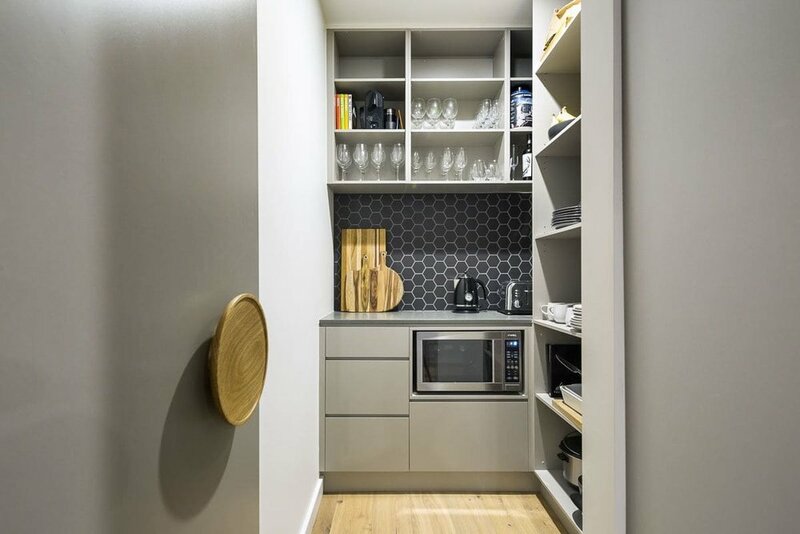 Declutter the pantry, cupboards, garage, garden shed and all surfaces to showcase storage space. We hope this checklist helps put your clients on the right path to a successful winter sale this season. Download a PDF copy of our Winter Home Sale Staging Checklist to pass onto your clients. Homely.com.au is a new way to search for Forest Lake real estate for sale and properties for rent in Brisbane.